The British Business Bank has today launched its £400m Northern Powerhouse Investment Fund (NPIF), aimed at boosting the North of England’s economy and helping the region’s businesses realise their growth potential. The British Business Bank’s recent Spotlight: The Northern Powerhouse Investment Fund publication reported that the North contributes £350bn per year in GDP – close to one fifth of the UK economy. 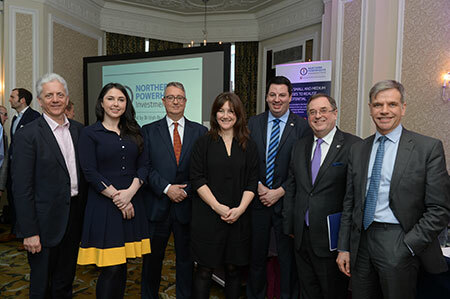 The new fund aims to build on this foundation by providing smaller businesses with increased choice of funding and producing greater levels of investment across the Northern Powerhouse region. Based in Sheffield, the Northern Powerhouse Investment Fund will work with 10 Local Enterprise Partnerships (LEPs), combined authorities and Growth Hubs, as well as local accountants, fund managers and banks, to provide a mixture of debt and equity capital to northern-based SMEs at all stages of their development. NPIF will provide funding to fund managers who will offer Microfinance (£25,000 – £100,000), Business Loans (£100,000 – £750,000) and Equity Finance (up to £2m). Initially announced in November 2015, NPIF combines capital allocated to the 10 LEPs in the North West, Yorkshire and Humber and the Tees Valley by the European Regional Development Fund (ERDF), a loan from the European Investment Bank (EIB), funding from the Department for Business, Energy and Industrial Strategy (BEIS) and an additional loan from British Business Finance Limited, a British Business Bank group company. This comes just weeks after the launch of the Industrial Strategy Green Paper, which outlined the Government’s ambitious plans to build on the UK’s strengths and create an economy that works for everyone: delivering high-skilled, well-paid jobs and creating the conditions for competitive, world-leading businesses to prosper and grow right across the UK. Keith Morgan, CEO at British Business Bank, said: “The North of England has a long and proud history of driving global innovation and economic progress. The region has more high-growth businesses than London and, at close to one fifth of UK GDP, is larger than the economies of Greece, Denmark, Austria and Belgium. Roger Marsh, OBE Chair of the Leeds City Region Enterprise Partnership (LEP) and Chair of the NPIF Strategic Oversight Board, said: “The North already boasts a diverse, dynamic and thriving economy with enormous untapped potential that, when realised, will bring huge economic benefits to the region and the UK’s competitiveness.